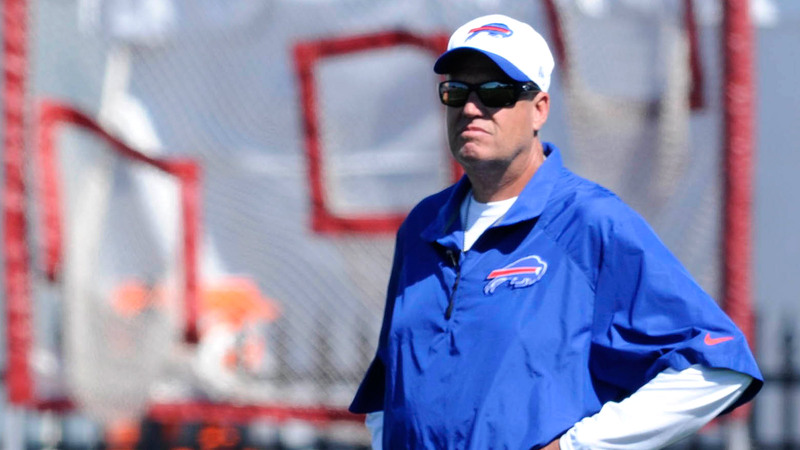 Two weeks ago, Rex Ryan declared that the Buffalo Bills may not reveal their starting quarterback until Week 1. After Thursday night’s 11-10 victory against the Cleveland Browns, Ryan reassured everyone that he will stand by what he said two weeks ago: The Bills won’t name a starter until the first week of the season. "Yeah, I just decided that," Ryan said, per Matthew Fairburn of Syracuse.com. "It’s a beautiful call by me." The quarterback race got even tighter after the team’s second preseason game, with both Tyrod Taylor and EJ Manuel putting on a show against the Browns. Taylor and Manuel had solid outings, narrowing the gap with Matt Cassel. Still, Ryan doesn’t want to jump the gun and name a starter. "Remember, I’m not going to make that decision until we play Indy," Ryan said. "Competitive reasons, whatever. Go for it. We don’t need to tell them. Until the league makes us tell them, we can just go right up in there and say, ‘We’re not (going to) say anything.’"
As badly as everyone wants to know who will start Week 1, it’s a smart move given the difference between all three quarterbacks. The Colts will be forced to game plan for all three, with Cassel as a pocket passes and the other two as more dynamic running threats. "We may know. But why would we say any different?" Ryan said. "The quarterbacks that we’re talking about, they’re all three different. So plan for all three of them. And I think that’s smart on our part."